GCET 2019 Rank Predictor is based on GCET B.Tech Rank Vs. Marks and Previous Cutoff Marks of 2018. GOA Common Entrance Test) is conducted by the Directorate of Technical Education under the Government of Goa. This state-level examination is conducted online, and only in the English medium. It is a state level entrance exam which is held once in a year. The exam conducting body will issue a score and ranks that aid in the admission of students into courses of Medical (MBBS), Engineering, BDS, BHMS, B.Pharm, Architecture, Technology and Homeopathy pertaining to Institutes that fall under Goa. 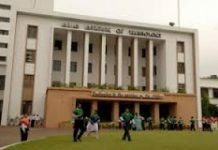 Directorate of Technical Education (DTE) Goa will determine the minimum scores obtained by the candidates to be considered for admission to various undergraduate engineering courses at the universities and colleges in Goa. 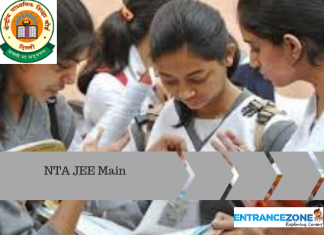 DTE, Goa conducts GCET 2019 and is the competent authority that decides GCET 2019 cutoff marks.GCET 2019 cutoff determinants include various factors like candidates’ performance, seat capacity of the respective courses and the college, total number of test takers, the difficulty level of the paper and reservation policy. Applicants failing to meet GCET cut off 2019 will not be considered eligible for admission to BTech/BE programmes at the universities and colleges in Goa. On the basis of GCET 2019 cutoff, Directorate of Technical Education (DTE) Goa prepares GCET 2019 merit list for the examinees. Seats are allocated to candidates as per their ranks in GCET 2019 merit list. 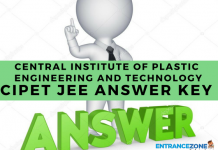 Get to know your GOA CET 2019 rank here. Number of Candidates appeared for the GCET exam. Check your score here by clicking the GCET rank here. 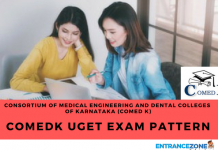 How to Use GCET 2019 Rank Predictor? Finally, the usage of Rank Predictor- entering Basic & Academic details such as registered name in 2019 Application Form, your contact details, Registration Details, your desired branch (BE/B.Tech) & probable Rank. Go to GCET 2019 Rank Predictor Here. 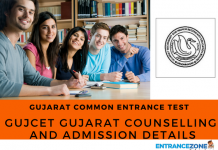 Previous articleGUJCET 2019 Result: Gujarat Common Entrance Test for B.Tech.